When it comes to taking care and getting the most out of your Honda, it’s not rocket science. But, there are some tips and tricks that will keep your vehicle running optimally and help you get to know your Honda a bit better. Let the experts from Henley Honda guide you with Honda Hacks! How many keys are on your key ring? We’re hoping just one. To avoid problems with your car’s ignition system, don’t put too many keys on your key chain. If you’re driving a car with a traditional keyed ignition (not a push button start), you’re dealing with some very fragile mechanics. 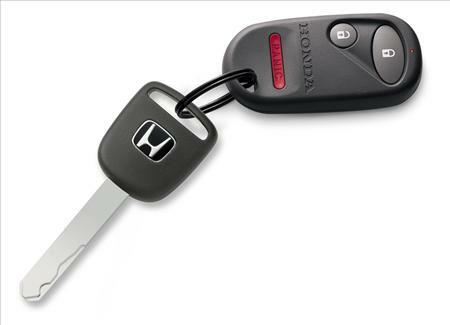 If you have too many keys on your key chain, that weight pulls downwards on your ignition switch and can wear it out. Not only does the ignition switch start your car, but it maintains the electrical circuit in your vehicle, so if it gives out while you’re driving, your whole vehicle will shut down. The best practice here is to only have your vehicle’s key on its own key ring. Keep your house keys, work keys and souvenir key chains completely separate. Without that added weight, your ignition will stay in optimal condition with every start.